Explore Discover every corner of Disneyland Paris with tips, photos and trivia. Disneyland Park Here you leave today and enter worlds of history, discovery and ageless fantasy. Walt Disney Studios Park Step inside the movies to celebrate the art of storytellers who create the magic. & Beyond... From Disney Village to the Disney Hotels, there's more to explore beyond the parks. Calendar Dates and times to plan your Disneyland Paris visit today, tomorrow and further ahead. Plan Prepare every detail of your Disneyland Paris trip to maximise every minute of magic. Dining Get a taste of every Disneyland Paris restaurant menu before you go. Video Watch our original HD videos of Disneyland Paris shows, lands and attractions. 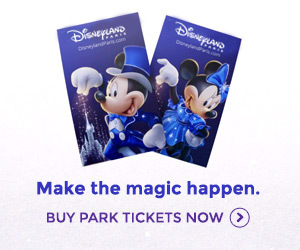 Tickets Save time and money — buy and print your Disneyland Paris tickets now. Maps Explore every land, each park and the entire resort with our online Disneyland Paris maps.